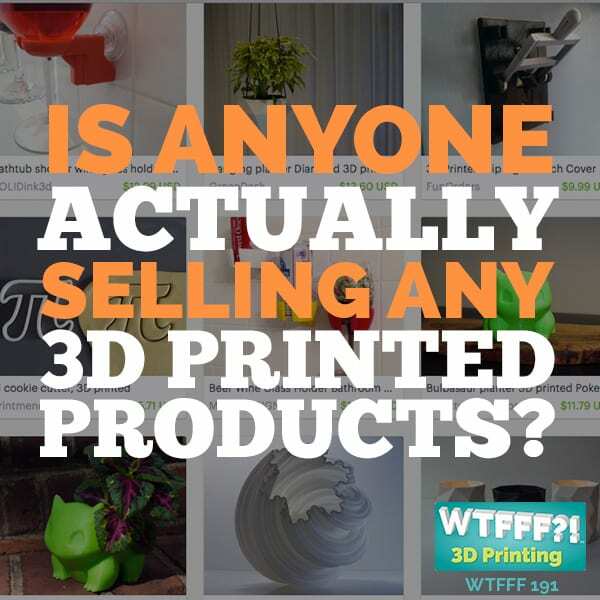 If you have just started looking into all of the available 3D printers on the market, you may be wondering why so many printers are only capable of printing with one color or material at a time? That is exactly what we thought as we got started a couple of years ago. 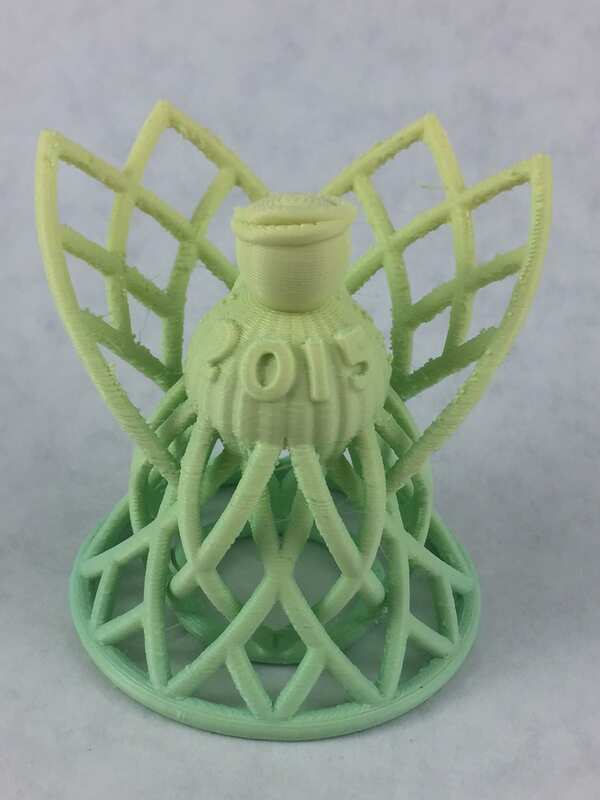 Once we started getting good at 3D Printing on a one color machine we began to crave two things, better material colors, and making prints in more than one color. 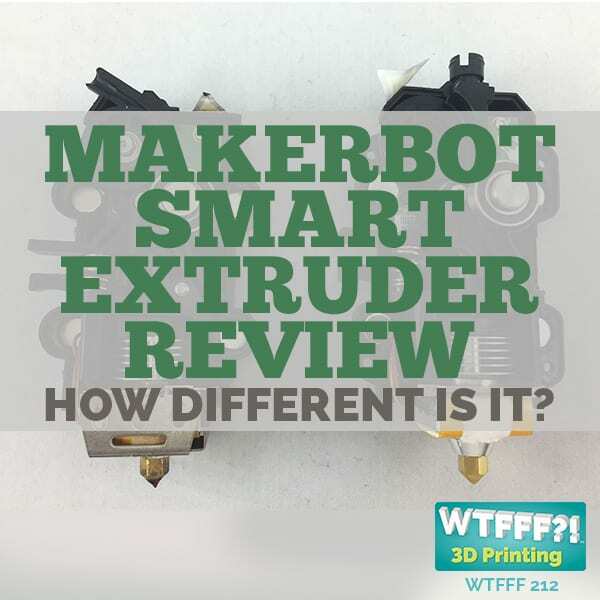 So we started evaluating two color (dual extrusion) machines, and bought one with the intent of using it to make all kinds of wonderful designs we were seeing in our mind’s eyes. Once we started trying to print with a two-color machine, we quickly began to understand why there were so few such machines available on the market. Most dual extrusion 3D printers have two nozzles spaced apart by 20-30mm. As the machine prints, both nozzles are moving about the build area in the same horizontal plane. We found that printing with two colors on a two-nozzle machine just simply did not work for “what” we typically print. 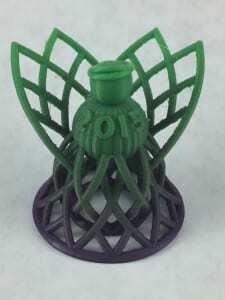 The dormant nozzle would inevitably ooze plastic that stuck to your good part making a heck of a mess, or it would catch on parts of the good print within just a few layers printed, and would rip it up off of the build plate and ruin your print. We gave it a serious effort with two different dual extrusion machines over a period of nine months before we gave up and divested ourselves of those printers. Looking at th e outside of the packaging, its combination of solid wood framing and heavy duty double wall corrugated cardboard is meant to stand up to shipping abuse. Inside the box each corner of the printer’s frame is protected by a molded foam insert, and a cardboard tray hangs inside the empty build volume to hold all of the smaller parts, power cord, build plate, and instructions. This printer is built like a tank, no joke! The entire printer frame is made from stamped and formed steel sheet metal about 2mm thick. The sides and back are bent from one piece of material, which eliminates joints and fasteners found in most printers that often can loosen over time and cause problems. The steel frame makes this printer very heavy, but also very sturdy. 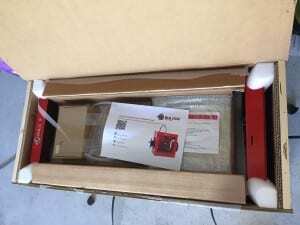 A color printed set of instructions sends you to the company web site, www.3dprinter4u.com to view and download a full set of instructions, and software to operate the printer. Lifting the printer out of the box and onto a table surface was actually the hardest part, we recommend this be done by a team of at least two people to protect yourself from injury. 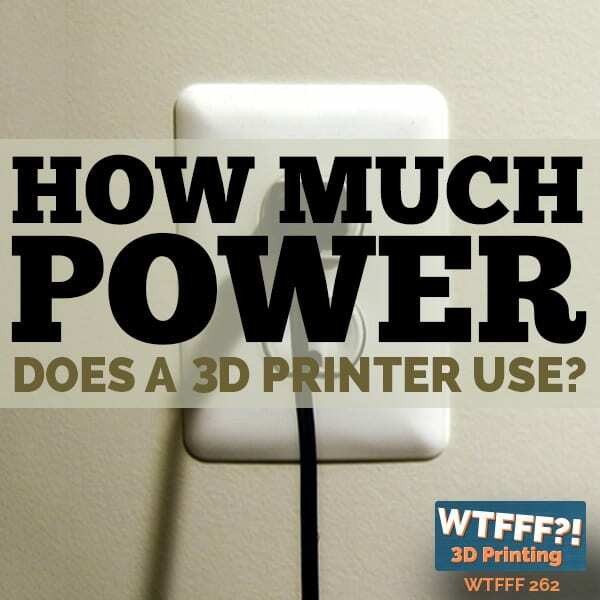 Once on a sturdy table surface all you need to do is set up the filament holders, guides, and plug it into power. 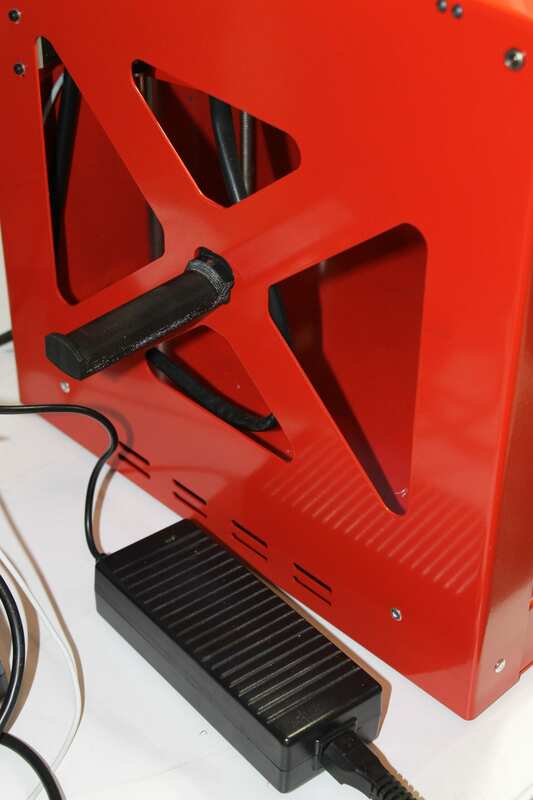 The power cord plugs into the lower rear of the machine, which is where the power switch and USB port are located. Before you do much else build plate needs to be installed and leveled. The build plate frame is made in a “U” shape with four adjustment screws, one at each corner. The build plate is just a piece of glass with four aluminum receivers glued to it at the four corners that match up with the four adjustment screws. With the main printer frame built like a tank, we were surprised by how light duty the build plate frame is. The cantilevered ends of the “U” shape can be bent easily, and when installing the glass build plate you may need to bend one or both arms until the build plate drops in place. Leveling the build plate is a standard manual process. They provide a Gcode program to help you do this, but we always find manual leveling easier if we just home the nozzle and build plate, manually move the nozzle to the four corners of the build plate, and use the four screws to adjust the height as necessary with a thickness gauge (or sheet of paper) under the nozzle tip. The plastic adjustment knobs at the end of each screw are pretty small and not so easy to turn, they do work, but making them a little larger in diameter would have been nice. At this point lo ading filament is all that is needed before the printer is ready to go. There is a small bag of accessories that contains 3D printed filament spool holders and filament guides. The spool holders can be installed in multiple height locations on the side of the printer. If you want to store more than two spools of filament on your printer, the Gcode files for the spool holder (and filament guide) is included on an SD card provided, so you can print as many as you want. Once you hang filament spools on the sides of the printer, you install the filament guides on the top inner edge of the printer. There is no single location for this part, it slides from front to back and just needs to be located above the filament as it unwinds from the spool. You need to install two white plastic guide tubes to feed the filament from the filament guides to the extruders, and thread the filament through until about 50mm sticks out the end of the white tube. When you turn the printer on the display will light up and say “Builder Ready” when it is completely booted up. 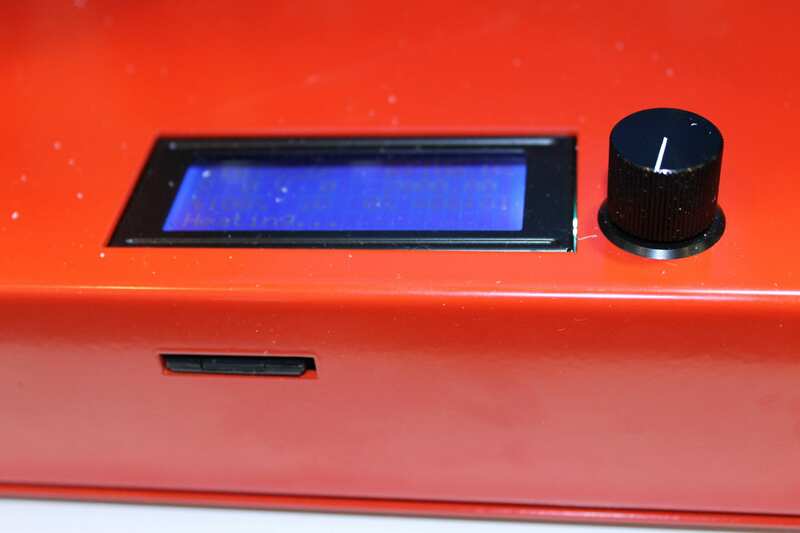 The display is a standard basic LED with a click wheel interface, so you rotate the knob to scroll through options, and press the knob to select. In general we do not like this kind of display or control because it is too easy for the knob to rotate when you press and make the wrong selection, but this one has proved to be better then most we have tested. Before filament is loaded you need to go through the display menus and preheat the nozzle. We were pleased with how quickly the nozzle heats up to temperature. Once heated the filament can be inserted by pressing down on the aluminum lever at the top of the nozzle assembly. There is only one hole the filament can go into, and you feed it in until it starts to ooze out of the nozzle. Then repeat this process for the second color, and you will notice that the second color pushes the first out of the nozzle before you see it. Now the printer is ready to print. Builder recommends using Cura to slice your files to print, and Repetier to operate the printer. We tested both of these software programs with the Builder and they do work. However, we found that Simplify 3D had printer profiles for the Builder available, since this is our preferred slicing software most of our testing was done with Simplify 3D. 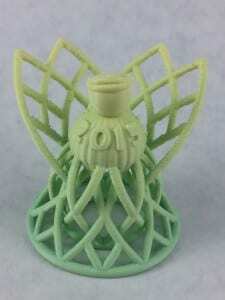 With both Cura and Simplify 3D, the software refers to two color printers as having a Left and Right nozzle. In the case of this printer there is only one nozzle, but there are two filaments feeding into it. What makes this a little more complicated is that the Builder feeds the filaments into the nozzle in the exact center from left to right, with one filament being toward the rear and one toward the front of the printer. So it took a little experimentation to learn that the rear filament was controlled by the “Right” nozzle selections in the software, and the front filament was controlled by the “Left” nozzle selections. This is not a deal breaker as far as we are concerned, but can be confusing at first. With most other dual extrusion 3D printers you can print with two materials or two colors, but each color is printed in distinctly different areas of the model. One of the most exciting aspects of the Builder Dual printer is that it also has the capability to mix the two filaments, and blend them. The printer is even cap able of changing the percentages of each filament used at different points in the print. The process is somewhat primitive at this point. You first need to make a complete one color Gcode file from Cura or Simplify 3D. Then you load that Gcode file into a Windows software utility that comes with your Builder purchase. You use two slider bars to change the mix of the two filaments, then save a new Gcode file that knows to feed both filaments into the printer instead of just one. We had hoped that we could start a print with one color, gradually change it to the complete other color at the mid point of the print, then change it back toward the finish. Unfortunately the software utility does not work that way. At this point the software is limited to either mixing the two colors to one constant blended color, or making one linear gradient blend event from bottom to top of the print. The printer’s hardware is capable of so much more, and could shift colors back and forth if the software would only provide the stings necessary to do so. We have no inside knowledge to share, but we would be shocked if the manufacturer does not realize this already, and plans to make changes to the software. 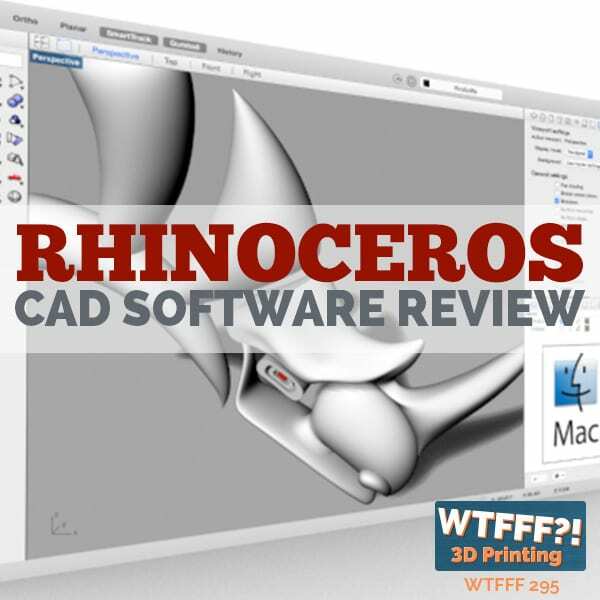 We do have contacts at Simplify 3D, and when we alerted them to this potential, they were happy to add it to their software capability wish list. Keep your fingers crossed! We are pleased to rep ort that printing in two colors with the Builder Dual produced the best results of any two-color printer we have tested. The single nozzle eliminates all of the physical problems associated with two nozzle machines, including calibrating two nozzles, excess oozing of the dormant nozzle, and disturbing portions of the print already complete. The one nozzle system makes two-color printing practical and predictable. We took several of our designs that we test on all printers, and converted them to two-color versions to put the Builder to the test. The only challenges we experienced with our printing tests were ones caused by the slicing software. 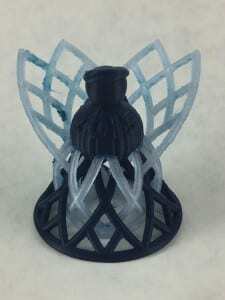 In order to print in two colors with one nozzle, you need to use a Wipe Tower or Prime Tower (depending if you are using Cura or Simplify 3D). The tower is built with your print, layer by layer, and is where excess filament is purged as the color is changed within each layer. There were some strings between the part and the tower, and the tower was too close to the good part. It would be helpful if the tower could be moved farther away from the part, but details like this are always being worked on for future software updates. 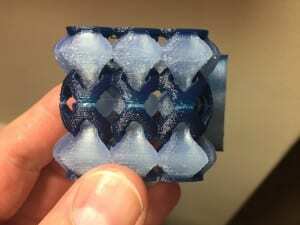 As more printers enter the market with more than one filament extruding through one nozzle, the software to drive these machines will certainly improve. The real magic of this printer is its ability to mix colors. We tested a larger number of prints than we would in a typical review as we experimented with the color blending. 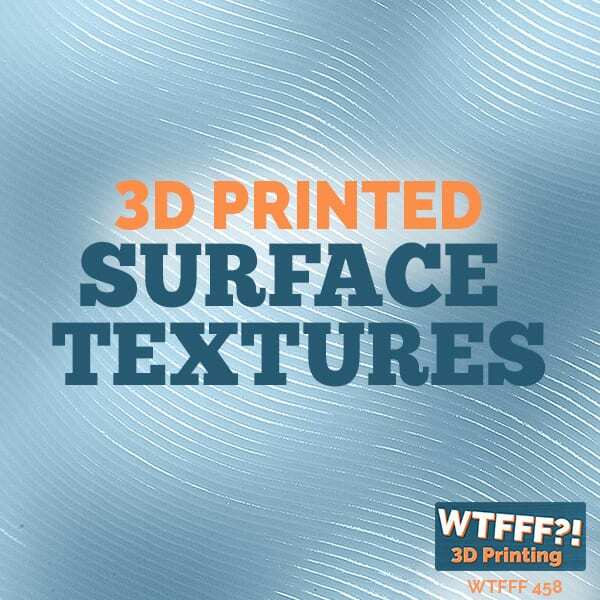 This function works very well, but the visual result depends greatly on the colors of filament you choose to mix. We found that some filaments blend to produce a dramatic effect, while others did not. Some colors mix and blend well with each other, and others just don’t. For example, translucent filaments did not seem to blend well, and opaque color filaments worked much better. 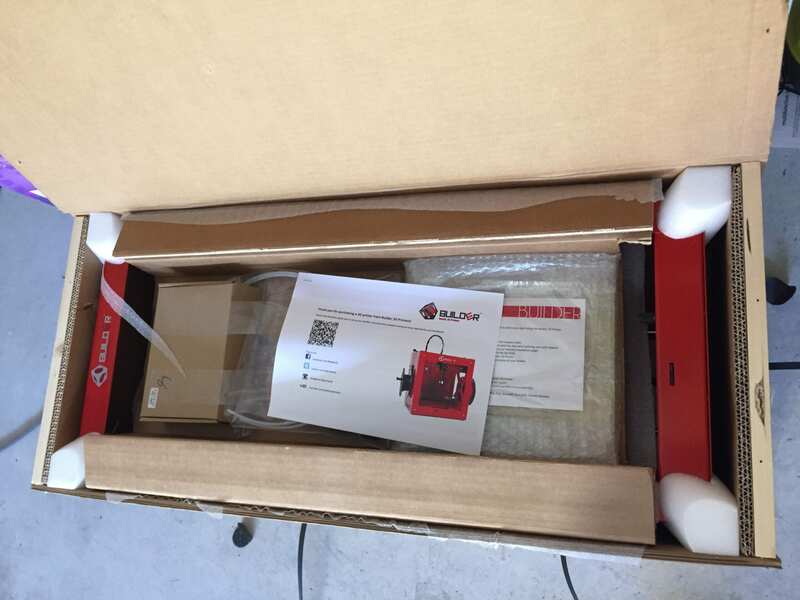 We were surprised that the manufacturer does not have predetermined sets of filament colors that they recommend to produce the best results. That seems to be a missed opportunity for a company that has spent so much time and engineering effort making a machine with the unique ability to mix colors. So for now, users are on their own to experiment and find compatible filament colors that will mix and produce dramatic results. A key technical advantage of the Builder 3D Printer is the fact that the filament drive motors are located directly above the nozzle, and move around the entire build plate. This means that the filaments are being pulled into the extruder more than pushed. So this printer is ideal for printing more flexible materials like soft PLA, Ninjaflex, and soft support materials like PVA. 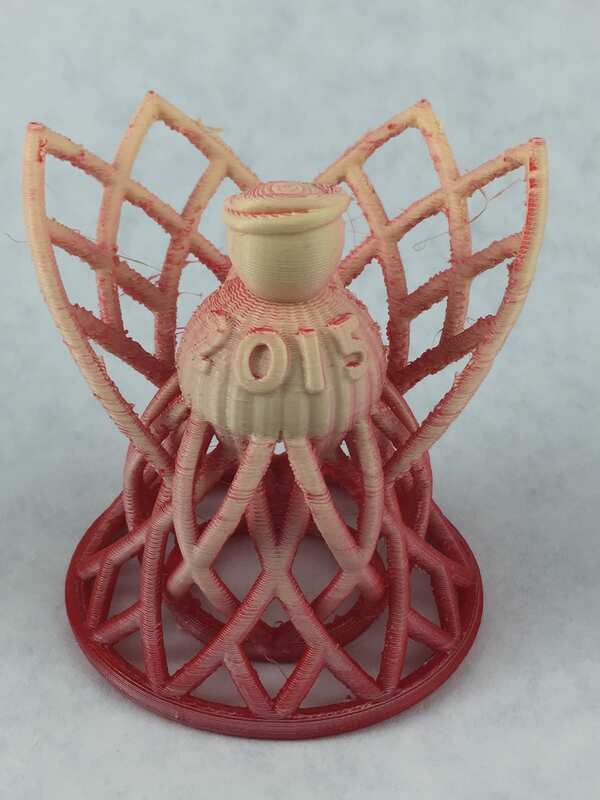 We have tried to print these kinds of materials in conventional Bowden style printers, and often had poor results. The way the Builder was engineered it is ideally suited to use soft materials, with no loss of capabilities for hard materials. 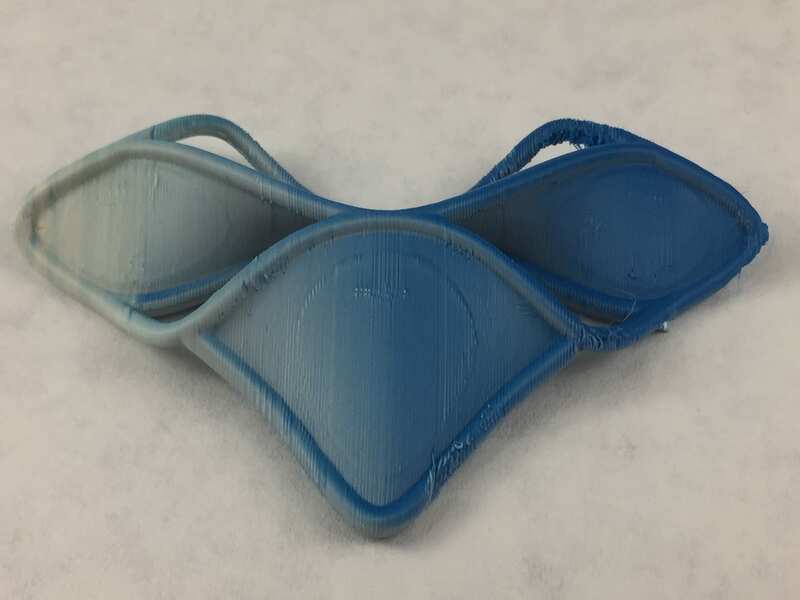 We even did a gradient blend between white and blue soft PLA materials, and it printed them with no problem. There are two build volume sizes of Builder Dual available, the standard size is 210 x 220 x 164mm. The Big Builder have a build volume of 210 x 220 x 664mm. 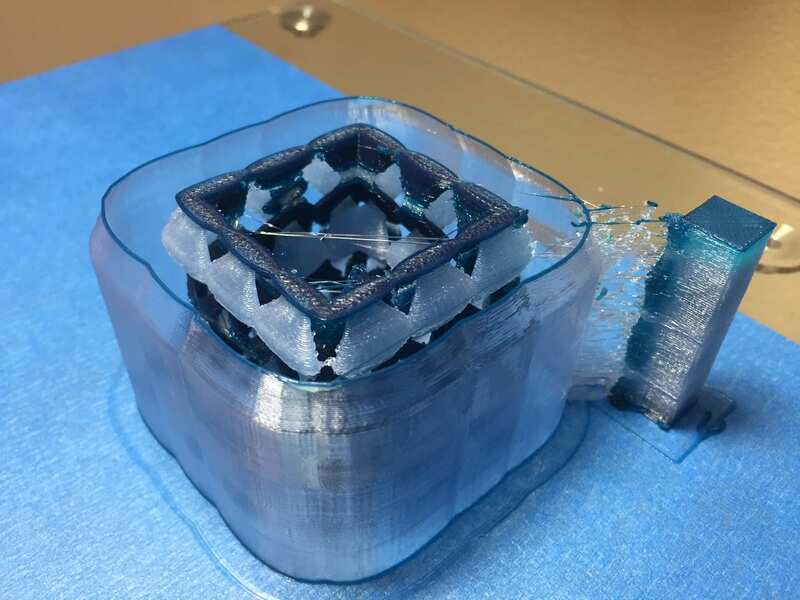 We created a custom 3D model to test the Builder’s entire build volume, it took over 100 hours to build this model, but it printed with great quality. We created a time lapse video of it so you can see how it went. The Builder Dual 3D Printer is a solid machine with advanced capabilities not found in other printers. It is by far the most capable and highest quality dual extrusion performer we have tested. It is not a plug and play printer by any means, so it might not be the best choice if you are a first time buyer. 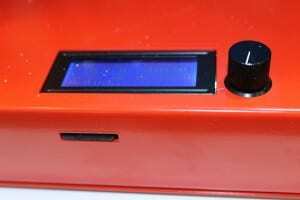 It has a relatively manual user interface, and requires traditional bed leveling (calibration). But if you have at least some experience using independent slicing software, operating open system 3D printers, and you are looking to go beyond a one-color, one material machine, we highly recommend the Builder Dual. In fact, as of this writi ng, there are no other production dual extrusion 3D printers we can recommend. 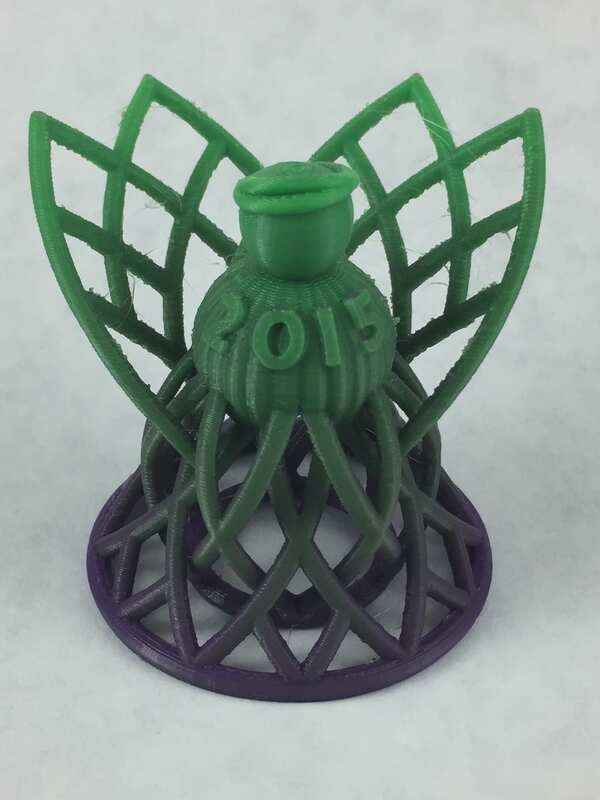 We have heard from a few different manufacturers that they are coming out with new dual extrusion 3D printers in the near future that address the problems we have experienced with two nozzle machines, and look forward to testing them. For now, the Builder Dual is the machine to beat. We’d like to remind our listeners that we will be taking a hiatus from our “Ask Us Anything” segments for the rest of September and October to get out into the field and bring you some cutting edge content straight from the show floor. However, this does not mean we will be stopping all together – our regular Thursday Podcasts will still be on time! If you have a question about 3D print design, production, sales or more, Ask Us Anything and we will store it away in our super special box of questions and dive into them when we get back into the swing of things at the end of October. Thank you to all the loyal fans who will be sticking through this with us, we hope to bring you the very best information about this rapidly expanding industry we all love! Les Lewis is Director of Sales, and Sean Weaver is in charge of Special Projects for US Cutter. USCutter exists to offer its customers the best value in the market by offering the low price on all the products we carry. Our goal is to provide our customers with the equipment and supplies to make them successful, and to provide an avenue for growth by offering a growing, innovative equipment and product selection to expand into new markets. Click here to download the Transcript for WTFFF 103 Show Notes (PDF).